On Saturday morning and afternoon, Hale Reservation held a family fun day event across its 1,100 acres of land. 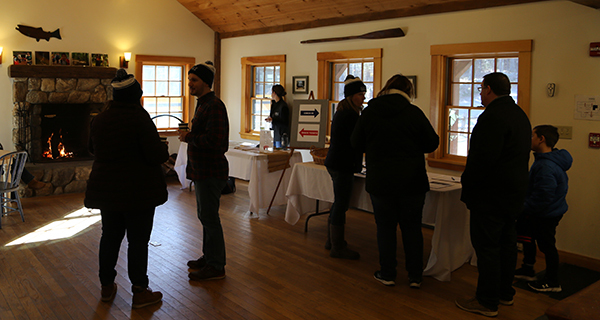 The event replaced a smaller open house normally held in the off season, and was intended to both show the community what kids can do at Hale during the summer and, more simply, to get families outdoors together during the winter. Having celebrated its hundredth birthday in 2018, Hale wanted a more involved way to show the community what goes on during its summer camps. Volunteers take a break with some hot chocolate after a long day of activities. Throughout the day, parents and kids tromped in packs about the frozen grounds and laughed their way from building to building. There were nature hikes throughout the ground every half hour, archery at the range behind the Family Center, arts and crafts, a nature room where kids could learn about Hale’s local wildlife, singing and storytelling, campfires and s’mores, and a performance by Malik the Magician to close out the day. Hale Reservation has sat on about 1,100 acres of land since its founding by Robert Sever Hale in 1918. 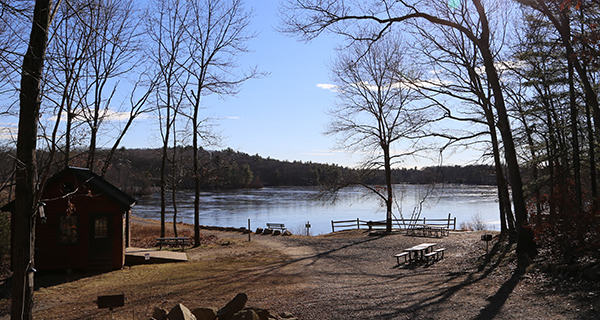 Initially serving as a Boy Scouts of America scouting center, the camp has grown in both size and scale over the years, now providing summer camps for boys and girls alike, and running the Hale Outdoor Learning Adventures program, which allows Boston Public School students to experience a nature covered in dirt and grass rather than pavement. “We will absolutely do this again, it was a really good turnout. The only problem has been logistically. We just have people crawling everywhere!” McLaughlin said with a laugh.